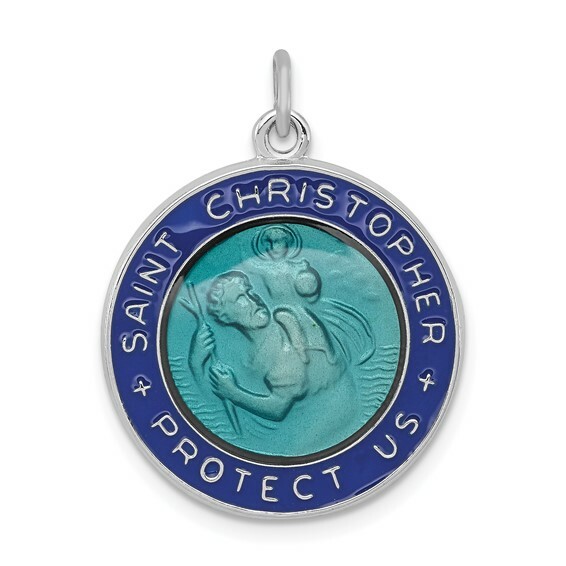 Blue enamel St. Christopher medal is made of polished sterling silver. Measures 3/4 inch tall by 3/4 inch wide without bail. Weight: 4.44 grams. Blue epoxy enamel. Made in the USA. The St. Christopher's charm I bought for a friend's charm bracelet is beautiful and adds great charm to the overall beauty of the charm bracelet.|Thank you for this lovely charm!